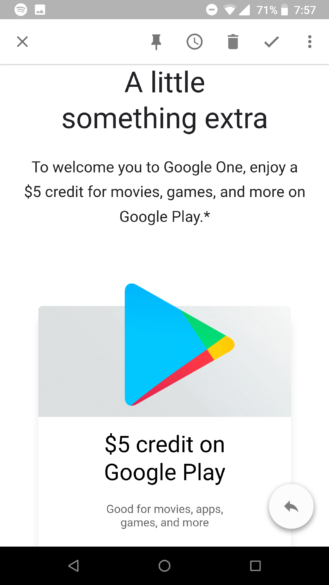 We aren't sure if this $5 credit will hit everyone that is part of Google One, and we haven't received this message ourselves. Those of us at Android Police with paid Drive plans haven't been brought into the Google One fold just yet so it could be we'll get the same offer at a later time. 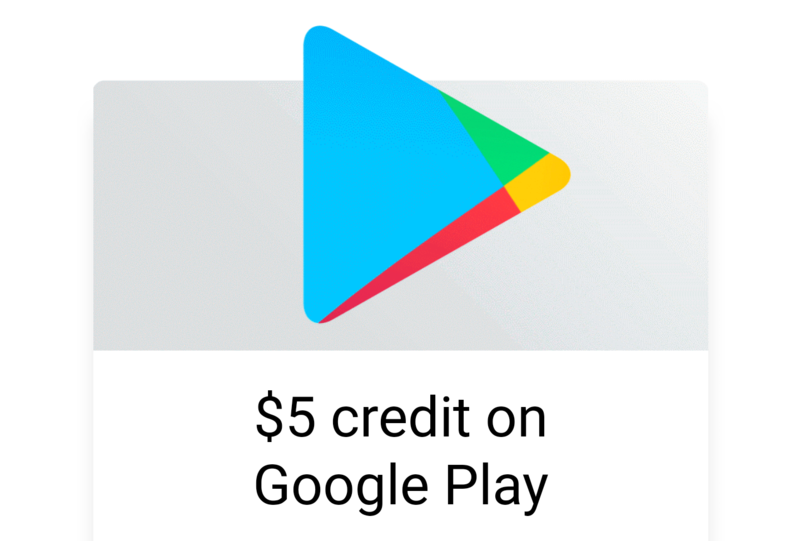 Google did promise that subscribers to the service would get perks including complimentary Play Store credits, though, so this could simply be the first wave of these offers. Either way, free is free, and at a minimum, you could snag a weekend movie rental on Google's tab. If you've been switched over to the new One plans or if you're a paid Drive subscriber, maybe give your inbox a quick glance and check the spam filter, just in case.